Fashion meets functionality with this ultimate layering piece. Soft and durable 100% combed cotton brushed flannel is paired with a 2 oz. Dacron polyester-diamond patterned quilted lining. Two shoulder vents for comfort and ease of movement, full-front snap closures, two side hand pockets and one front flap pocket with snap closure. 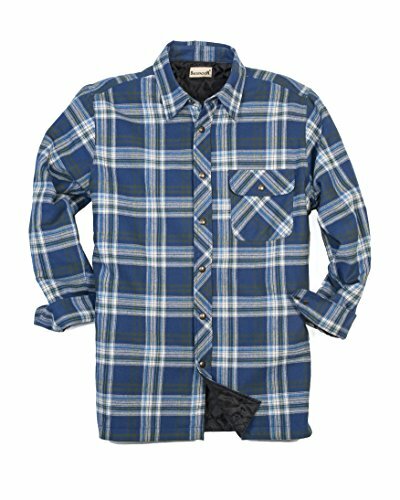 This classic flannel shirt jac works hard and plays harder. Available in men's regular and tall men's sizing. If you have any questions about this product by Backpacker, contact us by completing and submitting the form below. If you are looking for a specif part number, please include it with your message.